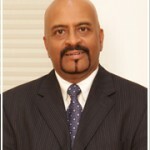 Gopinath Natarajan (Gopi), co-Founder Omega Healthcare, has over 30 years of technical and management background. Gopi did his schooling and college in Chennai. He got into the world of software in 1980 and moved to the US in 1982. He always had an urge to be on his own from his early 20’s. He worked in a variety of companies and became an independent consultant early in his career to develop software applications. Through one of these consulting engagements, he developed a lot of healthcare applications in the late 80’s and learnt a lot about the healthcare delivery model from the administrative point of view. This helped him gain a better perspective of how the insurance companies and the providers work, as well as their capabilities. He started his first venture in the early 90’s along with a few of his friends and began providing practice management and claims processing services to the provider industry. The team built technologies for the market by virtue of their knowledge in the healthcare space. They needed to scale the operations and hence needed some funds. However, Gopi says that this was the pre-Internet days and funding was tough. Gopi went to EDS and stuck on to his core competency –the healthcare domain – and got into a strategic role. He got a little bored with the speed and lack of focus in a large organization and moved to Healtheon as one of the first 100 employees. He saw it through the merger with WebMD – one of the most successful IPO’s at the time – and the company grew to 8500 employees in just 3.5 years. As part of the strategic portfolio, he and his M&A crew handled 16 acquisitions in 18 months. After the massive growth, the entrepreneurial spirit within WebMD mellowed in the company. Hence, he once again went back to EDS to spearhead a new service line they had no experience in. He was with them for around 1.5 years to put together a business plan in the healthcare revenue cycle space, and got the initiative off the ground. As the company was going through a major transformation, there was no focus or appetite for new ventures, so that got him thinking about becoming an entrepreneur again. With his 30 years of healthcare experience, he wanted to create a niche in the market. A big part of the model he had developed at EDS was to leverage offshore resources and he visited several companies in India in the healthcare revenue cycle space. He knew the entire system intimately and knew what to do from scratch. He was intrigued by this model and figured that he had a lot more experience than any of the companies he had met with in India. He wrote a business plan to build a company through some acquisitions in the US and designed an offshore delivery model. This was the time that one of the business brokers spoke to him about Anurag Mehta. A five minute conversation on the phone with Anurag went into a 5 hour conversation as Gopi felt that he had finally met a business partner and friend who had similar interests and background. Anurag had a head-start in this thought process and had also secured some funding. Anurag just wanted to align with someone who could come in and operationalize and develop things. They joined hands in a start-up but that venture was not heading in the direction they intended due to various investor and market dynamics, and the two gave up the equity and exited. They decided to do something on their own without any external influence and decided to structure this in India in early 2002. The result – “Omega Healthcare” was born. Gopi and Anurag made a business plan based on what they learnt in the earlier venture and veered towards the specific niche set of services. He calls this “wholesale model”. There are lots of providers in the US (a fragmented industry) and the vast majority of them are unable to leverage the offshore delivery model directly. Gopi felt that this was completely an underserved market as they would not be able to think of setting up a centre in India because of scale issues. He decided to build a model based on this premise and chose to sell to the business aggregators instead of servicing the physicians or the hospitals directly. The value proposition to the business aggregators was – “they have their foot print in the US and can acquire/grow their customers while Omega Healthcare, with its huge presence in India, could help them cut down the costs while maintaining a superior quality of service”. This strategy worked like magic and the result – Omega has only 10 employees in the US and around 8500 in India. Since the impact was so large, the business aggregators needed someone they could trust. Since the work was done 10,000 miles away, they also needed to be comfortable with various factors clearly out of their control. With Gopi’s 30 years in the healthcare industry, he was almost like a commodity in the space and knew a lot of senior executives of large companies, many of whom he had worked with in the past. There was both a comfort as well as a trust level. That played a huge role in the initial days of Omega and got them the first set of customers. Gopi began building a predictable operations delivery team to live up to client expectations. He spent a lot of time in India to deliver flawless service to Omega’s first 3 clients. The team serviced them exceptionally well and hence they became highly-referenceable clients. Gopi talks about one of the toughest early sales stories. There was a business aggregator that was and still is the leader in the US market. He knew so many people in the delivery team including the President, but, there was a lot of apprehension about sending the work overseas because it was healthcare data and the sensitivity was very high. One day, he chanced upon one of the board members of the company with whom he had worked at WebMD. The board member helped set up a meeting with the senior executives. Gopi made it a point to make the most of this opportunity. In the initial meeting, he succeeded in establishing credibility with his knowledge of the industry, pain points etc. and convinced the customer. Multiple meetings with many stakeholders took place over a period of 6 months. Finally, the team said that they would get back. This was definitely not what Gopi expected and he lost hope. However, driven by his never-give-up attitude, he decided to touch base with the President in a month’s time to see if a favourable outcome was likely. On the client’s side, there was an unexpected business trigger: a daunting delivery crisis surfaced. Work backlog sky-rocketed to unprecedented levels and posed a huge threat. They did not have the internal capacity to clear the backlog within the stipulated time. Omega Healthcare was already on their radar and they called Gopi and asked if Omega could handle the backlog ‘alone’. Gopi was thrilled. This was a great foot-in-the-door for him. He agreed to take on the project and thus, the No. 1 company in the industry became Omega’s customer. The Omega team worked relentlessly to complete the pilot project on-time with high quality, and ensured the client looked like a hero. The client was bowled-over by Omega’s professionalism and delivery capabilities and especially for coming through in their time of need, and were more than open to extending the business relationship into the foreseeable future. Gopi seized this opportunity and began penetrating the account and pushed for a larger slice of various projects. However, many naysayers about outsourcing existed at the client-end and he had to do lots of internal selling about Omega’s capabilities and their success with another team within their own company. Finally, the President of the division got enthused about the initial results and subscribed to the model. He also figured out that if the company had to show results based on their strategy and growth plans, the offshore model was the only way to go. They began doing a cost-benefit analysis of setting up a captive offshore centre. They did the math and found out that it would be difficult for them to set up with a small team and to scale. So they decided to outsource. The incumbent vendor that was providing them offshore software development was the next choice. Even though they had around 1500 software engineers with that vendor in their ODC, they felt that the vendor did not have the required healthcare domain expertise to be able to deliver. Now they were left with no other option but Omega Healthcare. They asked Gopi and team to present to their entire senior management in one of their annual sales conferences. Omega was the only vendor. The discussion lasted for over 2 hours in which the Omega team was asked many questions by the senior management team. Finally, they concluded that the Omega team knew the process, had the required knowledge and had run companies in the same space before. This knowledge, Gopi says, is the biggest differentiator even today. Omega is able to win deals against large IT companies that have divisions providing similar services, because of its deep domain expertise. After the business plan was developed for Omega, there was a lot of pressure to start the operations since there were a couple of clients waiting to get their work started in India. Gopi and Anurag got into a joint venture partnership with a couple of partners that offered immediate delivery options for the clients-in-waiting. While this served as a good springboard, the joint venture developed a lot of cracks because expectations were not set properly early on. This led to the JV being dissolved in about 18 months but the company still continued under the leadership of Gopi and Anurag. As they say, things always happen for the better and, sure enough, this fit that in retrospect. So, he has absolutely no regrets in how things panned out eventually. Omega Healthcare is the leader in healthcare BPO/KPO space in India and is rapidly expanding with more than 8,500 employees servicing in excess of 110 clients (double its closest competitor). They have offices in Bangalore, Chennai, Trichy and Manila (Philippines). Omega Healthcare specialises in providing offshore healthcare management services in Revenue Cycle Management (RCM). With a growth rate of 30-35% year-on-year, the company handles high-end, value-driven work pertaining to medical coding and other RCM services, and attracts some of the best talent in the industry. Omega has received several accolades including the Dun & Bradstreet HR Best Practices 2015; being inducted into the second INC. India’s Innovative 100 Club; and winning the National Award for Excellence in Cost Management – 2013, from the Institute of Cost Accountants of India (ICAI).